TO TAKE INTO ACCOUNT: Permanent Cosmetics procedures are affected by the canvas (your skin) that they are performed on. If you skin is sun damaged (even from tanning beds), thick and uneven in texture, and/or excessively dry or oily, the result cannot be expected to be perfect after the initial procedure. Scars on the lips from fever blisters cause pigment removal. Lifestyle, medications, smoking, metabolism, facial surgery, and age of skin, all contribute to fading. 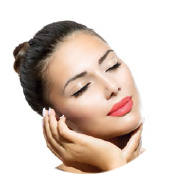 Touch ups areneeded between 30 to 90 days after your initial procedure to ensure the best results and to keep your permanent makeup looking the best!Use only the ointments or creams suggested by us. Days 1 & 2: The eyebrows are approximately 20 to 25% darker and bolder in width than they will be when healed. Your skin is red under the pigment, which causes the color of the pigment to appear darker.There is some swelling, although difficult to actually see due to the thickness of the skin in the eyebrow area. This will subside. Exfoliation, which begins in a few days, will cause excess pigment surrounding the eyebrow procedure to flake away and a more narrow appearance will result. 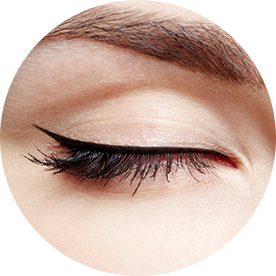 New skin will heal over the pigmented area and result in a softer appearance of your eyebrows. 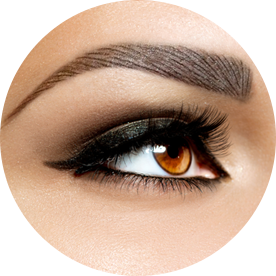 Don’t be concerned that your eyebrows initially appears darker and heavier in size than you desire. This is all part of the process. DO NOT PICK AT IT!. Day 5: Color finishes flaking off and appears softer and grayer for a few days until color clarifies. Days 5-10: The exfoliating process should be over and you start seeing the final color. It takes up to 4 weeks to see the true color through the healed skin. Day 2: Swollen, usually for only a few hours after waking up, with a heavier eye makeup look continuing. Day 3: Swelling decreases with a tight feeling: The pigment begins to lift away from the skin. Day 5: Blinking movement of the eye usually removes all pigment by this day. Color is somewhat grayish and will take a few more days to clarify to full color. Days 5-10: Exfoliation is gone. now you can see how thick and how much color you got underneath the skin. Day 1: Swelling, tender, heavy thick lipstick look with a reddish brickcolor effect. Day 2: Slight swelling, reddish and tender with a metallic flavor. Day 3: Less swelling, thicker texture, sore, hot feeling before exfoliationwith an orange color effect. Day 4:Exfoliation begins, very chapped lips. Days 7-13: Lip color disappears and the “frosty” (2 chapping stage)begins as a whitish haze on the lips. Day 21:Healing complete; the color you see is the color you have. Your lips will remain a bit dry for a month or two. Use a good balm and they will return to normal, but with full color.